Participants of the workshop on agile practices at the Tata Advanced Systems in Hyderabad. 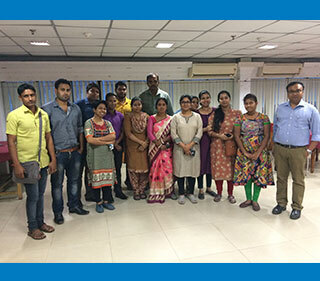 A PMI Champions’ meeting was organized at the Bangalore campus of Intel on 17 November 2018. 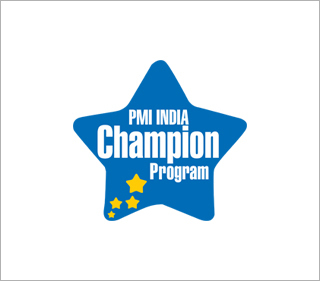 The meeting, attended by several Bangalore-based PMI India Champions, senior Champions, and members of the Champion Advisory Council (CAC), focused on evaluating ways to make the PMI Champion program stronger. In Chennai, PMI India organized a two-day meeting for PMI India senior Champions and CAC members on 24 and 25 November. The focus was on evaluating the current state of the program and finalizing a strategy to strengthen it in 2019 and beyond. PMI India managing director Raj Kalady set the tone by giving a summary of the planned transformation of PMI. Following this, the attendees brainstormed on how to align the Champion program to the evolving needs of the industry. PMI India Senior Champion Kalyan Sathyavada conducted a one-day workshop on agile project management for program managers of Tata Advanced Systems on 1 December 2018. The workshop covered an overview of agile practices, the Agile Manifesto, and Scrum methodology. Twenty program managers attended the session.